Originally settled by ancient Polynesians, today’s residents from every continent remain nurtured by her land and waters. Kailua’s beauty was commemorated forever by our last monarch, Queen Liliʻuokalani, in her immortal love song, “Aloha ‘Oe”, which extols the cliffs, forests, birds and flowers in the romance of Maunawili. 1737: Alapa‘inui of Hawai‘i seeks battle at his Oneawa, Kailua landing. O‘ahu forces send for Chief Kuali‘i’s son, Pele‘ioholani (Alapa‘i’s cousin) averting war. 1796: Kamehameha defeats O‘ahu army at Nu‘uanu Pali. Living in Kailua, he removes his personal kapu to clean Kawainui Fishpond and adjacent taro lo‘i. 1848: The National Mahele redistributes lands in fee simple. By 1895 most windward lands are held by non-Hawaiians. 1893: Kāne‘ohe Ranch Co. is formed to raise cattle and sheep on fee simple and leasehold lands in Kailua, Kāne‘ohe and elsewhere. 1917: Several U.S. military camps are established in Windward O‘ahu, including the Kuwa‘a‘ohe army camp on Mōkapu, accessible only through Kailua. 1931: The Powlison home, “Pu‘uhonua”, is built in Lanikai in front of Alāla Heiau at Kalapawai. 1941: Kun Lau and his wife Pang Shee Lau purchase Kailua’s Lanikai Store. In 1946, USAAC Sgt. Maurice Sullivan joins the Lau family store staff. By 1948, the first Foodland Supermarket opens. In the 1950’s Sullivan and the Lau’s daughter, Joanna Ngit Cho, marry. 1959: Pali highway is realigned with tunnels, anticipating windward development. 1950-60: Residential development results in a tripling of the population. 1972: Ulupō Heiau was listed on the National Register of Historic Places in 1981 was listed on the Hawai‘i Register of Historic Places. 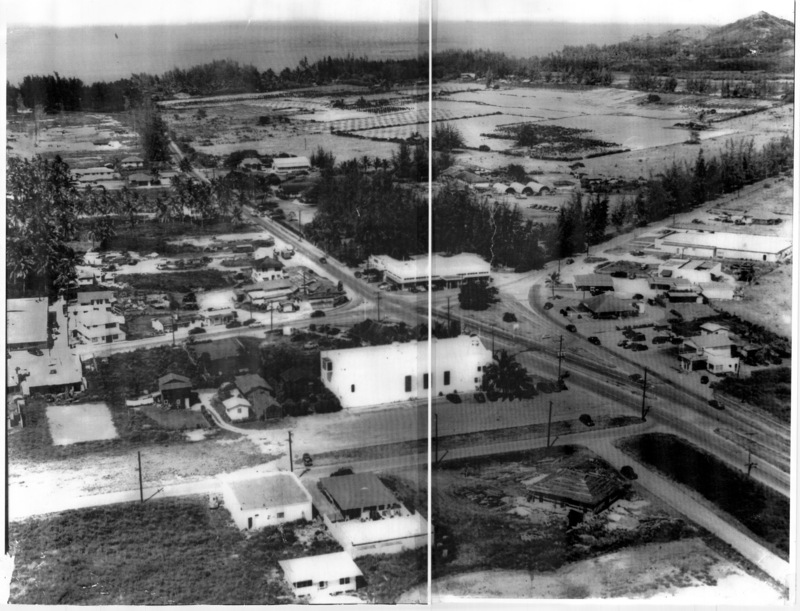 1979: Kawainui Marsh and environs are declared eligible for listing in the National Register of Historic Places as a Cultural Archeological and Historic District. 2005: The U.S. Ramsar National Committee designated the Kawainui and Hamakua Marsh Complex as a “Wetlands of International Importance”. Today: The Kailua Historical Society continues with your support! Aloha! Our family lived in Kailua from 1969 – 1976. Although I now live in California, I return to the islands often, as they are truly a part of my soul. I am trying to find out when our street, Laiki Place (off Kalaheo Ave.) was built/developed. I am writing a book which is set in Kailua in 1974. Does the book advertised in this website, soon to be released, cover street development history? Mahalo, and continued success with your historical society! Before Statehood, Hawaii was included in the National Parade of Homes. My father designed the featured Hawaiian home. It’s still standing in Kalaheo Hillside. Getting the old Pali Road upgraded to the ‘modern” highway with tunnels took an organized Civil protest from Kailuans. It’s quite a story. J Aku Head Pupule & Lucky Luck (radio DJ’s of the time) played “Muletrain” during the motor caravan that ended in town.